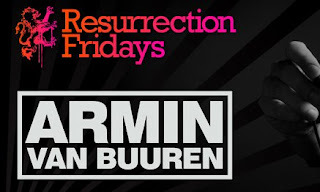 The Beantown Bloggery: Armin Van Buuren @ The Estate Tonight! Ok, forget Neil Gaiman (here) since the event is sold out, I just remembered something even better going on tonight. Armin Van Buuren is going to be here tonight at The Estate (thank you Ed Kane). For those of you that are at least somewhat familiar with Trance music, AVB is one of the top guys. It's him and DJ Tiesto that take up the majority of the space on my ipod. AVB just came out with a new CD called Imagine in the past month or so. It's a great album, I recommend you pick it up if you're a fan. My favorite song is Track 10 - Fine Without You. Click (here) to buy tickets. 0 Response to "Armin Van Buuren @ The Estate Tonight!"